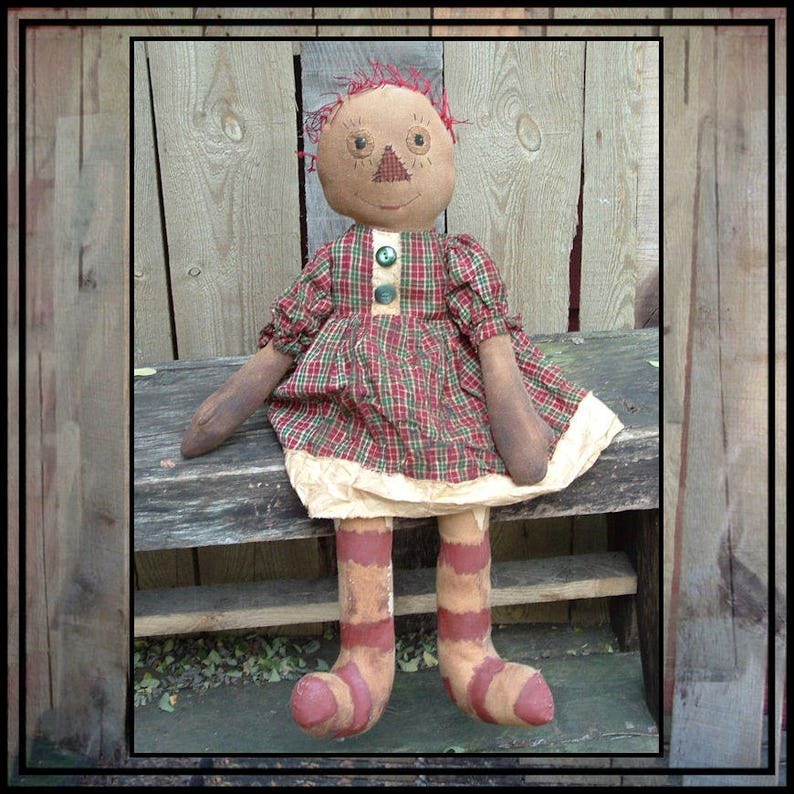 SALE mailed paper pattern ANNIE PATCHES is 25" tall. She has hand stitched patch nose, embroidered eyes and mouth. Her legs are painted. Her hair is crochet thread. I made her of muslin. Coffee stain is optional..instructions are included in the pattern. SALE...I printed a lot of patterns just before epatterns became popular and must reduce my inventory..